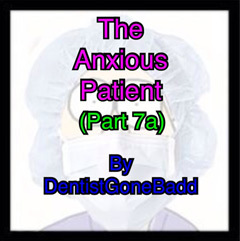 When we offer endodontic treatment to patients it helps if they are, at least, a little bit anxious. I don’t want them to be scared, but it is important for them to be concerned about, firstly, the condition of their teeth and, secondly, about the proposed treatment. Similarly, in cosmetic dentistry, we need our patients to be a little bit vain, because if they weren’t, they wouldn’t want the treatment in the first place. Of course, in both of these cases, there has to be a balance. It would be incredibly unhelpful for us, as clinicians, to have an utterly terrified patient, or one that is so dysmorphic that their expectations have become unreasonable. What we are looking for, therefore, is a sense of equilibrium. Not too much, but just enough. My family’s motto has always been même dans la modération être modérée – or, ‘even in moderation be moderate.’ I remember this idea being embodied by my aunt, who has not long ago turned 92. She always (somewhat ironically) insisted that she did not want to live for a long time – she just wanted to live healthily. She made grand pronouncements in the kitchen about what we should and should not eat and it turns out that she was probably right about a lot of things. She understood how to live in moderation and she knew the relationship between healthy eating and healthy living and that’s why she has just had a cookbook published. Of course, food is an important consideration when we’re thinking about health. I recently read an article about how experts expect that by 2020 more liver transplants will be due to over-eating rather than alcoholism. Indeed, by the same year, experts fear that at least a third of people in the UK will also be obese. As we all know, obesity can lead to any number of further health complications, including heart disease and diabetes. We are fortunate in our profession to be able to help with these concerns – we are all aware of the links between oral health and periodontal disease with both heart disease and diabetes and, as a result, we can be at the very forefront of necessary preventative treatments. And as we do so, we are in the perfect position to be able to help promote a moderate lifestyle and thus potentially extend lives healthily. We can apply this idea to all aspects of our lives – not just in health care and dietary considerations – and by doing so we can enjoy longer, happier and healthier lives. It can help us be better clinicians and, in turn, make us better patients. 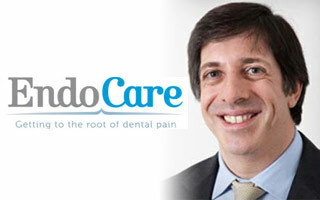 Dr Michael Sultan BDS MSc DFO FICD is a Specialist in Endodontics and the Clinical Director of EndoCare. Michael qualified at Bristol University in 1986. He worked as a general dental practitioner for 5 years before commencing specialist studies at Guy’s hospital, London. He completed his MSc in Endodontics in 1993 and worked as an in-house Endodontist in various practices before setting up in Harley St, London in 2000. He was admitted onto the specialist register in Endodontics in 1999 and has lectured extensively to postgraduate dental groups as well as lecturing on Endodontic courses at Eastman CPD, University of London. He has been involved with numerous dental groups and has been chairman of the Alpha Omega dental fraternity. In 2008 he became clinical director of EndoCare, a group of specialist practices. Dental professionals are familiar with the sights; sounds and smells of the practice but these can be the catalyst for fear in some patients. Hearing the sound of the drill can evoke the perception of pain, the smell of cleaning solutions may bring back negative thoughts and the clinical environment, instruments or the sight of the chair can terrify some people. National surveys reveal that around 36% of patients experience moderate dental anxiety and 12% of adults were classified as having extreme dental anxiety. There is not always a clear-cut reason for dental phobia but many patients explain that they have been scarred by a previous traumatic experience. Others are afraid of the unknown and many have simply inherited dental fear by association from their peers or parents. The most common fear among patients is pain. A phobia of needles is also reported by thousands of men and woman and the thought of having an oral injection understandably exacerbates their anxiety. 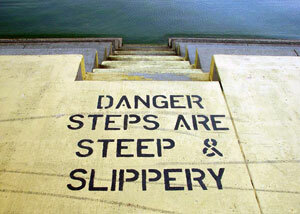 A significant number of patients become anxious when they feel out of control, confined or helpless. Some people are terrified of not being able to breathe or swallow, have a fear of gagging or vomiting and others cannot cope with hands or instruments in their mouth or near their face. Any practitioner will be aware that anxious patients need understanding and empathy, a level of support that makes them feel as comfortable and relaxed without prying into their inhibitions. It is important talk reassuringly to the patient whilst respecting their wishes. It’s critical to take plenty of time to explain every detail, maintain eye contact and encourage them to take deep breaths to calm down. Even when fearful patients attend for a check up, they have made a terrific effort to be there. They may not be able to respond to your questions or feel like making small talk but you can put them at ease by being kind, gentle, patient and most importantly, non-judgemental. 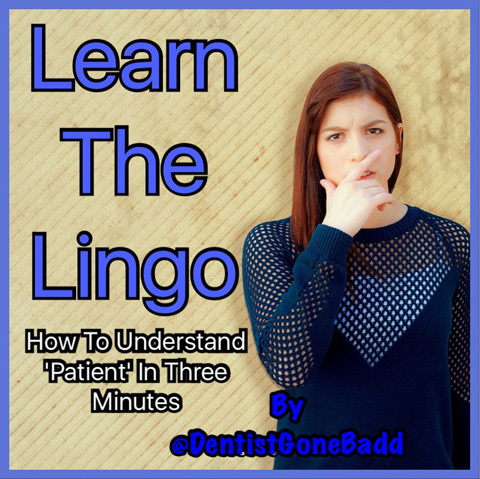 If the patient has severe dental or oral health problems due to neglect it may be ideal to break the diagnosis down and explain it in stages to avoid increased anxiety. If the diagnosis is complex, you might need to refer the patient to a specialist practice, but you will need to be confident that they have the ability and empathy to treat anxious patients. London Smile Clinic is a referral practice with a team of specialist dental practitioners that are experienced in treating nervous patients. It is a centre of excellence with exceptionally high standards of dentistry and offer orthodontic, implantology and periodontal treatments as well as cosmetic dentistry. The dental team strive to make patients as comfortable and relaxed as possible and take the time to be gentle and understanding. On facing their fears, patient can often feel surprised at how well they have been able to cope. Practitioners can boost their confidence by praising them and assuring them that they will look forward to their next visit, which will hopefully be less worrying. Adult Dental Health Survey 2009. www.dhsspsni.gov.uk/adultdentalhealthsurvey_2009_firstrelease. I finished out that week pondering on my therapy session and the work stresses. My wife, ever the paragon of being right, shied away from the blunt “I told you so” but did make it clear that I should be taking it easier. I asked the PM to block out some time where cancellations had arisen so that I would have a little breathing space, with the proviso that I would of course see any emergencies in those gaps if necessary. I did at this point advise the PM that I was having some issues with stress and needed to cut back a bit (master of understatement here! ), and would be looking to book some time off when the books were quieter – about 4 weeks into the future. I was by now quite aware of the mask I was wearing at work, and of the times when it would slip. 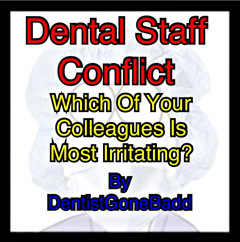 I was concerned that it could create problems for the staff directly and put them in an awkward position if my behaviour impacted on a patient. I had seen this happen before when a colleague had suffered from depression, and their extended absences had been explained away at the time as a back injury – a number of patients refused to believe it and some even hassled the staff with questions such as “it’s the drink isn’t it?”. 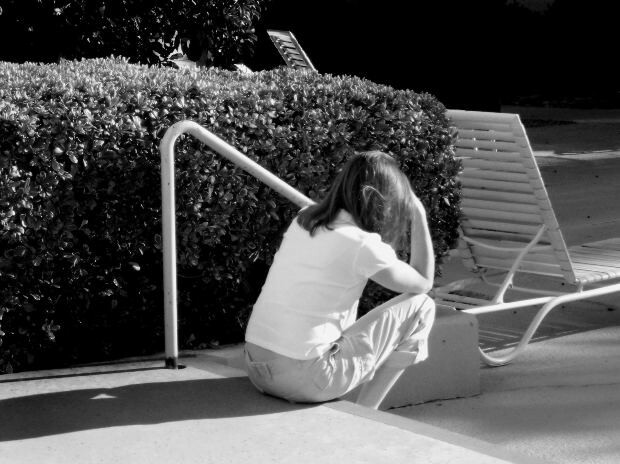 This led me to discuss the most difficult step in dealing with depression with both my wife and my therapist – that of telling my workmates and staff. It’s one thing to admit to oneself that you need help, another entirely to admit it to others. It’s natural to want to hide our weaknesses from others, even those closest to us, but you can’t expect to get support without laying a decent foundation. My wife was concerned, as was I, that such a disclosure could leak to the patients and potentially put them off seeing me. My therapist countered with the argument that if I didn’t have support in my recovery, I potentially wouldn’t be in a position to see patients anyway. I couldn’t argue with that logic, particularly being a Star Trek fan, so I decided to tell everyone at work and hope for the best. Except – I couldn’t actually bring myself to tell them face to face. Every time I looked at my nurse, my colleagues and thought of saying what I was going through I felt I may cry. I chickened out and put it in writing, asking the PM to read it to everyone at the staff meeting that week as I wouldn’t be present. The PM graciously agreed, following a short but teary chat at the end of the day. Below is a copy of the letter. I know this may identify me to any of my colleagues who lurk on GDPUK, but their response to the letter at the time assured me that I can trust them to maintain my anonymity. You may have noticed that I have not been myself over the last couple of weeks, and if my behaviour has seemed rude then I apologise. I am suffering from acute anxiety & stress at present, brought on by a number of factors – don’t worry, you lot aren’t one of them! I am having treatment and counselling to help me through this time. It is very hard for me to express how I’m feeling, and putting on a friendly face for the patients is an incredible struggle which drains me thoroughly. In this regard, I must apologise specifically to [my nurse] as she has to work with me all day and it must be confusing to see me chat to the patients and then barely speak to her. I am truly sorry for this [my nurse]. I wanted to tell you this in person, but honestly do not feel I could keep my emotions in check if you were all sat in front of me, and no-one wants to see a grown man cry – least of all me! Currently the only thing getting me through the door is my desire to provide the best care I can to my patients, but if I feel that I can no longer do that I will take a leave of absence until such time as I feel able to return. I do not intend to cause problems for you or the patients by cancelling days at the last minute, as this is not fair on anyone. I would ask that if you have any concerns about my behaviour, especially in regard to treating patients, that you bring them to [the PM] ASAP. It is difficult for the person suffering stress to see their own behaviour clearly & objectively, but others may notice problems quickly. I hope I will have your support through this time. I truly appreciate the work you all do and the efforts you make in running the practice. Depression in Dentistry - Forgive him, he’s an idiot. Forgive him, he’s an idiot. So I figured I’d leave things a bit longer. Of course, life then intrudes and so here we are nearly half way through the year. My last blog had seen me arrange the first counselling session. I can’t really say much about that session, apart from it involved a large quantity of tissues, several glasses of water, and a short episode of hyperventilation. I seem to recall some questions over whether I felt I was a risk to myself or others, but as these were asked at a number of the sessions I’m not entirely sure. What I CAN say is that I felt a billion times better when I left the office than when I arrived. With the benefit of hindsight, I know that this vastly improved mood was both transient and conniving, unfortunately at the time I felt that – having taken that sizeable first step in seeking help – everything would just be OK soon enough. WRONG! Yes, my mood had lifted. Yes, I wasn’t crying as much. Yes, I thought I could get back to working as normal. Yes, I thought I was “better”. Yes, I’m an idiot and was nowhere near better, but that’s the fragile balance of ego & id for you! The following day at work I was cheery, chatty and pleasant. Some of the staff joked a bit about my finally getting out of the right side of the bed, or of wanting “some of whatever you’re on”, but I just ignored them and got on with my day. I had a pleasant weekend with my wife, relaxed, watched some TV. In other words I behaved normally. This, I now know, was the problem. I was BEHAVING normally, not actually being normal. This pattern continued through the next week at work, although I would often feel panicky on the way to work and my mood would darken by the end of each day, and often sooner if problems arose. We aren’t talking major problems here, just late arrivals, delayed lab work, snotty patients, etc. Our usual daily niggles frankly. The next counselling session came about, and I was stunned by how quickly I broke down again in the office. It didn’t occur to me during that week that I was just putting on a show for everyone around me, until the therapist metaphorically whipped back the curtain and popped the spotlight straight on me. Right on cue, I sobbed my heart out. My therapist was concerned about my having continued to work without at least easing back on the hours or workload, and was clear that my arguments about NHS contracts and targets were all well & good, but were a contributing factor in my stress and depression. It was clear that I still had a long path ahead. OK, so there I was, sat in my surgery having my little Monday morning meltdown. Through the blur of tears I could just make out the figure of my practice manager who had guessed that all was not well. Between sobs I just about managed to get across what I was feeling at that moment. PM was understanding, and went straight to my PC to review the daylist. Within a couple of minutes PM had determined which patients could be rebooked, blocked some time out and sat down to discuss the day with me. We agreed that the patients PM had selected (long appointments but non-urgent – no risk of decay/deterioration – and unlikely to moan about the change) could be rebooked and some of the space freed used for the inevitable emergency appointments which would have to come from my absent colleague. I was the only dentist in the building and would have to try to manage the day as best I could. For those who have raised the question in the forum, yes I am in primarily NHS practice, so service provision under the terms of the contract has to be managed. I duly went to see my medical practitioner the next Monday. I’m fortunate that my GP runs early morning sessions on some days, so I was able to get an appointment before work. I felt some trepidation at the visit, in some part to my colleague’s earlier insistence against talking to his GP. His reasons were that “he would just stuff me full of pills, and wouldn’t think of me as a professional”. Frankly, my colleague couldn’t have been more wrong! My GP was understanding, honest and helpful, to the point that I broke down crying in front of him as I was so glad to get some of the weight off my chest to someone other than my wife. He asked about how everything had happened, listened intently, and advised me that my wife was indeed right in insisting I seek help. He actually phrased it as “I’m divorced, so I normally wouldn’t admit that a wife was right, but in this case she’s bang on.” It lightened my mood immensely. He did indeed give me some antidepressants – a low dose – and urged me to try them for at least 2 weeks before questioning their efficacy. He also gave me the numbers of 2 counselling services I could access via the NHS, and subtly hinted at which one was going to deal with me more efficiently (Hint: the one NOT run directly by the NHS). He stated that he would not sign me off at that time, as he was pretty sure I would ignore the recommendation for some time off in any case (let’s face it – self employed, practice to run, duty of care and all that jazz – he was right). 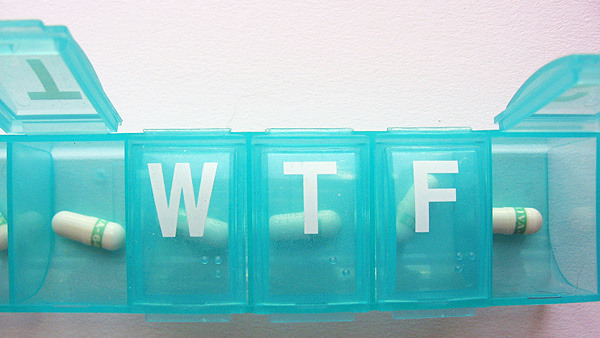 My GP also asked about my level of self-medication (i.e. alcohol, drugs). My response was “No more than usual”, which of course prompted a much deeper discussion of drinking habits. I consider myself lucky in not having what some may term an “addictive personality”, in that whilst I do enjoy a couple of beers or bottle of wine with dinner, and do have the odd blow out with friends, I can equally go for weeks without touching alcohol at all. I did smoke a bit in my teens, but it was never something I felt I HAD to do. I did partake of some illicit substances while at Uni, and – to paraphrase many noted politicians – I did inhale. Again, it was never what one may term a habit. As I noted in my first entry, one of the stressors for me was my colleague’s frequent absences. I half joked to my GP on that first appointment that it would be typical if I received a call on my way to work advising that my colleague was “ill”. You can guess where the story goes from here can’t you? I was driving to the practice when the phone rang. I could see it was his number on the car display. I had to pull over into a bus lane as I was shaking and crying so hard I couldn’t see to drive. I didn’t answer the phone. I couldn’t. It never crossed my mind that he could have been calling for another reason. I pulled myself together after about 20 minutes and continued to the practice. Upon arrival I could see his car wasn’t there, and could hear the staff making calls to cancel his patients as I walked through the door. I walked into my surgery, asked my nurse to give me 5 minutes, and had another little meltdown. Here I sit, staring at the words I’ve been writing in my diary of the last year, with tears rolling down my cheeks. 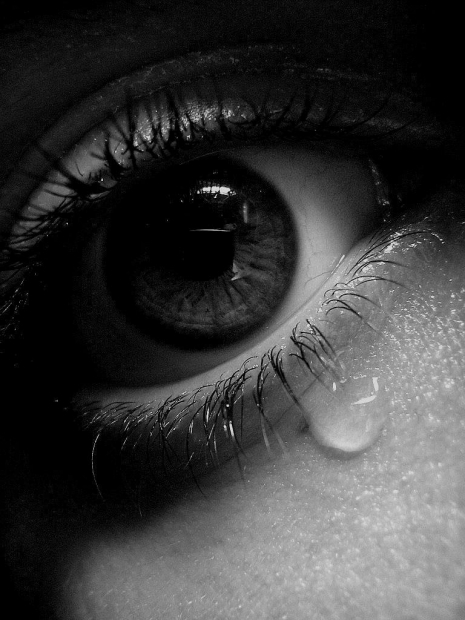 These are not tears of joy, for there is little in the words before me. The past year has been sheer hell. Not for any one reason, but a multitude of big & little things. These sneaked up, built walls & built ditches but never built bridges, until the “inevitable” happened. I spiralled into anxiety, depression and to the verge of a nervous breakdown.